A new season, a new thread! This worked out well last year, so just subscribe to this thread for the year. 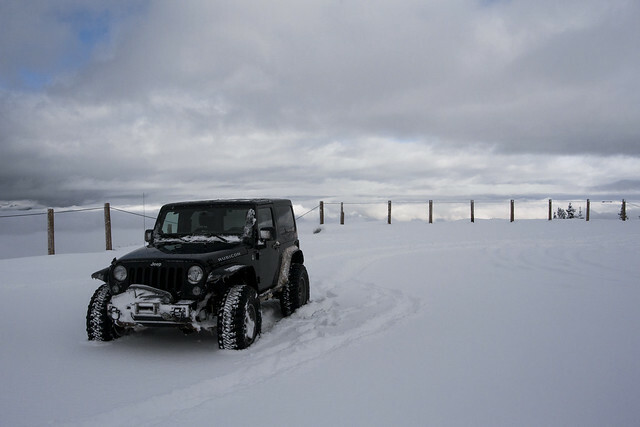 Drove up and down Van Epps Pass and then up to Gallaher Head Lake and on to the top of Hawkins Mountain 4WD trail on Saturday. Got up driving on mostly dirt. Three hours later 6+ inches of snow had fallen (probably the heaviest snow I've ever personally experienced). Winds had picked up to sustained 30-40MPH and continued all night, along with lots more snow. Hiked up Hawkins Mountain in the morning before leaving. 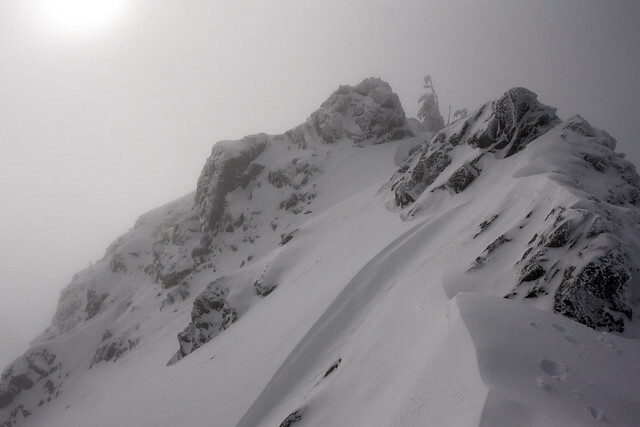 Amazing amounts of snow had fallen, many feet deep up on the mountain in places. The hardest part of leaving was just finding the road! Whoa! Nice! I wouldn't have believed it without those pics. Way to start the season. Finally managed to get out yesterday. 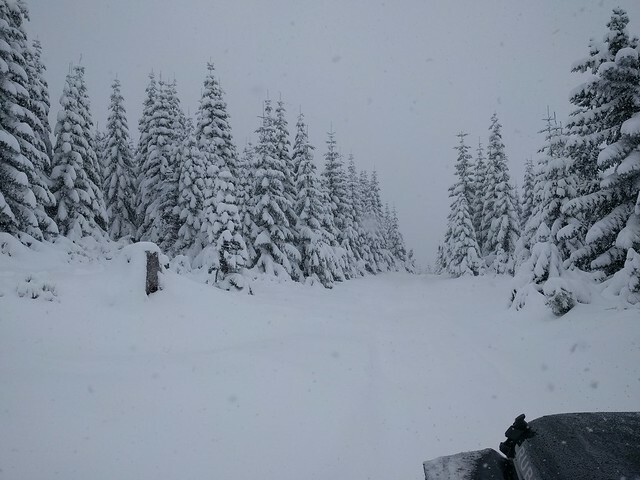 Didn't find as much snow as we expected but it was still a good day. A couple spots approached 18". We actually had our first snow the weekend of September 16! 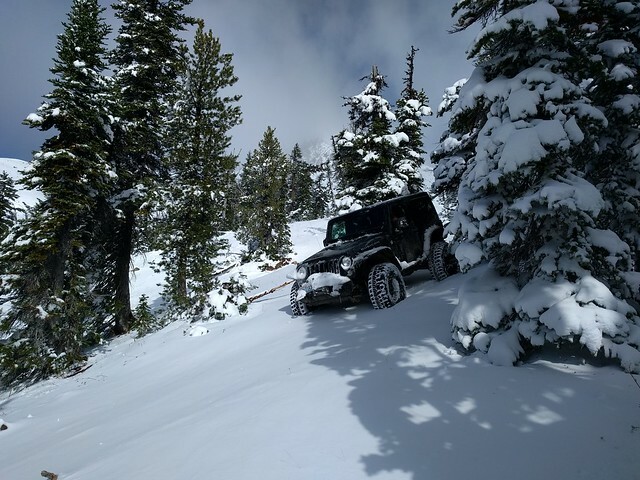 It was a whopping 18" dump but couldn't get out wheeling that weekend. Good to see you get out. We're getting the earliest lowland snow of my life this year. Kids made a snowman in the yard yesterday. I was going to try and take the kids to mountains for the first decent snow a few weeks ago, but life happened and we didn't make it. Should get the big dump soon. 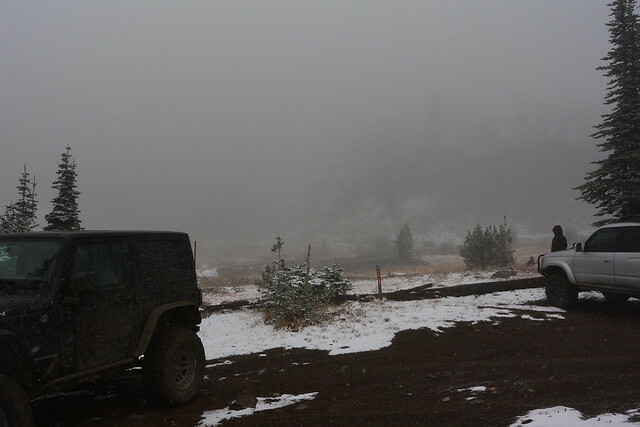 I went out this weekend too, had a great time, but only 1-1.5 feet deep at the most and just a few inches below 5000ft. 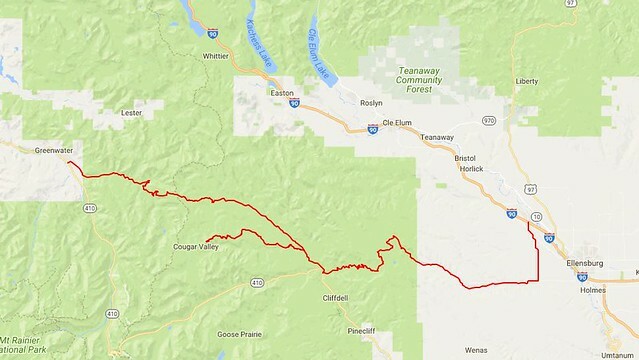 Did a loop from 410 to I90 via Naches Pass and Manastash Ridge with a detour up Raven Roost (more than 100 miles of snow driving, not including I90 which barely counts). 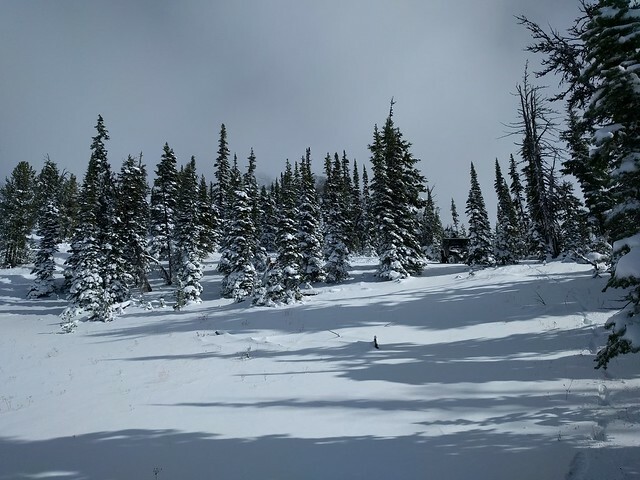 This is a super fun early season route with several points near or above 6000ft which would become truly impossible after it gets deep, plus the whole Naches area closes for grooming. 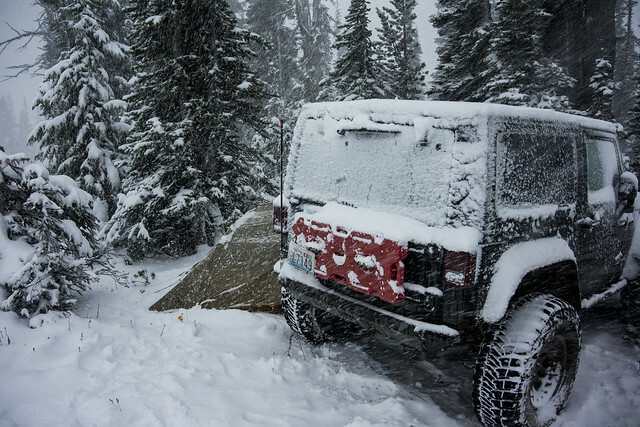 Best snow was on the east side of Naches Trail, and the best wheeling was the Milk Lake and Tripod Flats trails over Manastash Ridge. 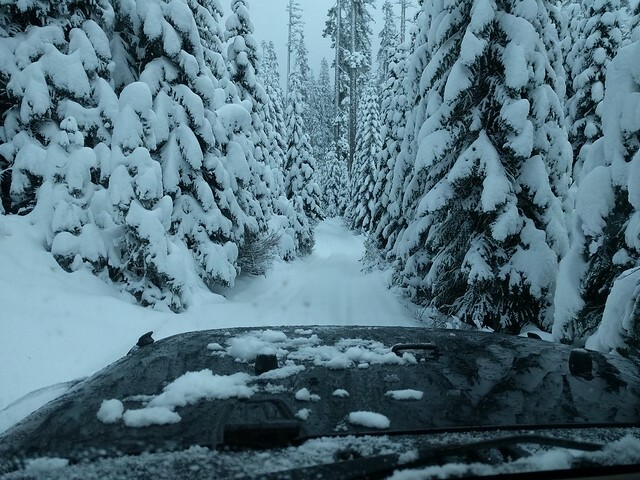 Running snowy Jeep trails is one of those things I like to do in moderation, since eventually I'm bound to wreck the Jeep on one of the sled hills where even the transfer case doesn't stand a chance at holding you back. I somehow missed this update. Wow, what a trip. Was it an overnighter? Nobody wrote: I somehow missed this update. Wow, what a trip. Was it an overnighter? No, that was a one-day trip. I think around 8 or 9 hours aired down and maybe 14 hour round trip to the city. This weekend, went on an over-night up Twin Lakes. 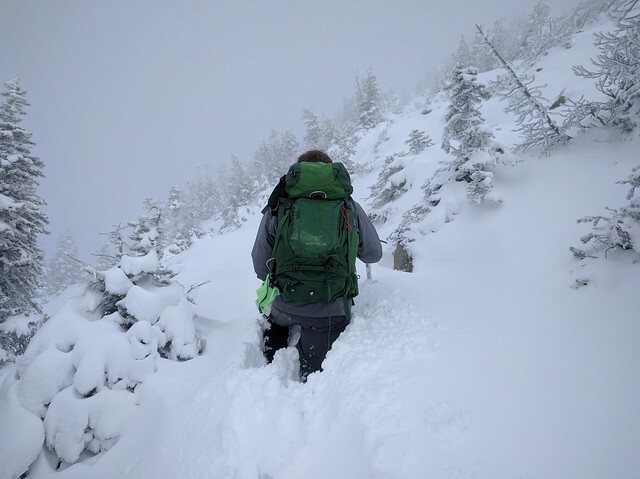 Broke trail to about 4000 feet in a few feet of fairly heavy fresh snow. 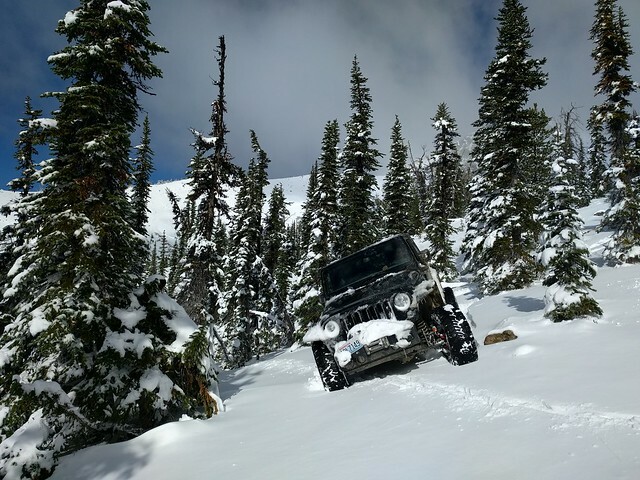 Was starting to get difficult and required repeated pounding when a buggy on very-large-tires passed by and started clearing trail (not with any ease, either). 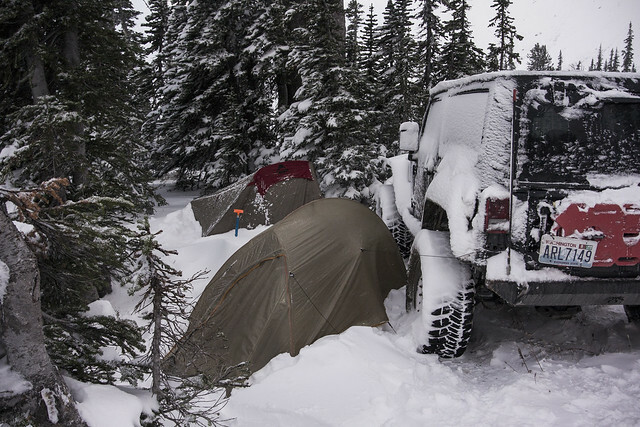 Had a Jeep club go by and we setup camp at a switchback at about 4300ft. A few of them pushed on and got all the way to the lake but they didn't pass back by our camp 700 feet below the lake until 9 hours later (we had already skied up to and down from a 6000ft peak, made dinner, and slept 3 hours before they drove by - reinforcing that snow wheeling is rarely an efficient means of travel ). Skiied up to and on the mountains above the lake both days. 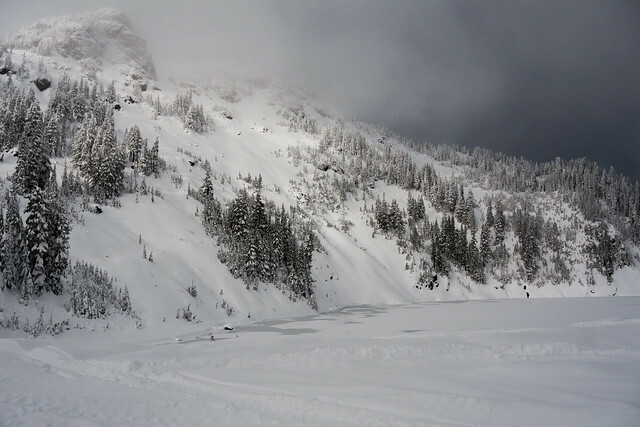 Amazing soft powder skiing above the lake and fairly good below the lake. Dang it! I missed another update! I’m just too busy lately. I need to get out. 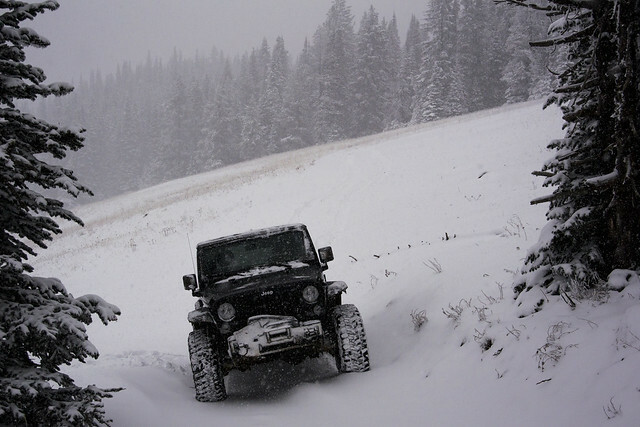 And no, snow wheeling is not a very efficient means of travel. Sure is fun though! I think I'm planning to go out Saturday if anyone is interested. 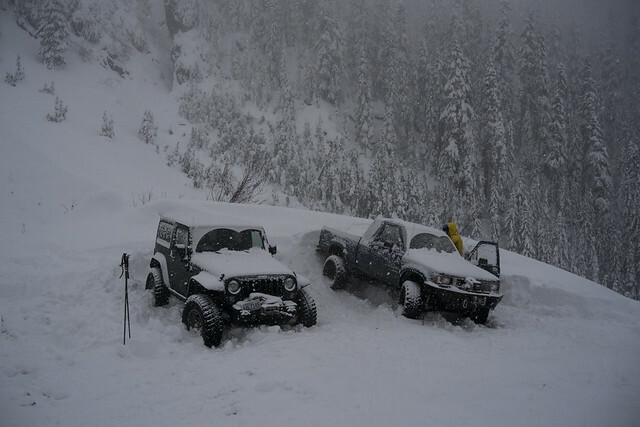 You still have to go pretty high right now to get into much snow (probably 3500-4000ft before it gets good). Should be 1-2 feet of fresh this week since the big rain cycle. 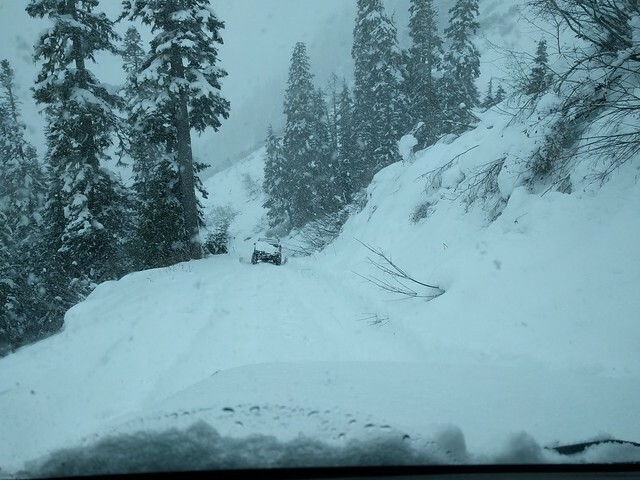 I was probably going to go I-90 and maybe over to Cle Elum but open to other destinations if anyone is interested. I might try to get out locally on Sunday. Busy Saturday.